Kashiwa Hitachi Stadium was built in 1985, but was only a modest structure until it got significantly expanded in 1995 following the promotion of Kashiwa Reysol to J-League. The stadium received a last minor renovation in 2009, which also slightly raised capacity to its current total. Kashiwa Hitachi Stadium is located in the south of the city of Kashiwa at about 1.5 kilometres from central Kashiwa and Kashiwa Station. The walk from Kashiwa Station takes about 15 minutes, or you can take the Nadogaya-Yuki Tobu Bus from stop 1 at the station. Get off at Kashiwa Hitachi Stadium. There are extra buses on the day of the match. Kashiwa, in turn, is a suburb in the north-east of the greater Tokyo metropolitan area, at roughly 25 kilometres from central Tokyo. Kashiwa can be reached with trains on the Jōban Line, which run from Ueno Station in Tokyo. Ueno Station can be reached with metro lines G and H, which run through central Tokyo. Tickets for Kashiwa Reysol games can be bought online through Lawson Ticket or J-League Ticket, or in person at the Lawson convenience stores. Tickets range in price from Y$ 2,800 for a seat behind the goal to Y$ 5,500 for a central seat at the main stand. 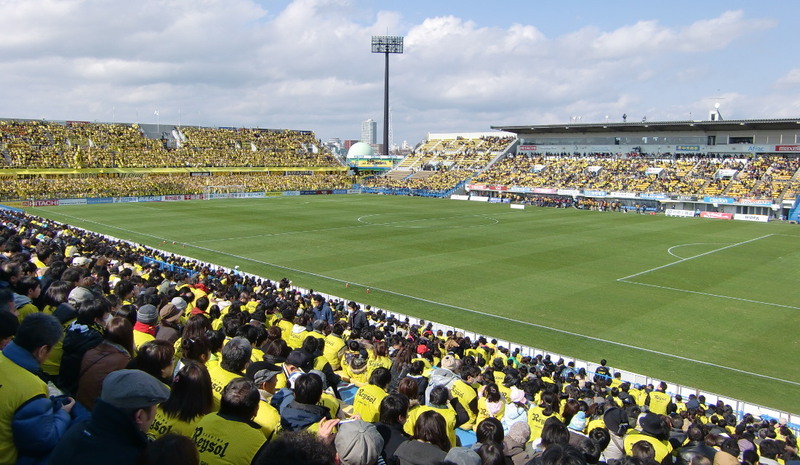 Kashiwa Reysol play two home games per year at Tokyo’s larger National Stadium. Reysol.co.jp – Official website of Kashiwa Reysol. Tobu-bus.co.jp – Kashiwa public transport information.